We throw away an awful lot of things. Things that hardly anything is wrong with, objects that would be perfectly useful again with a simple reparation. 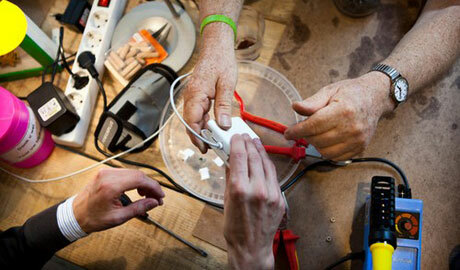 During Artefact, STUK organizes a Repair Café, a place where old and broken utensils are given a second life – for free. STUK provides the tools and know-how, you just have to bring the damaged goods to the repairers. 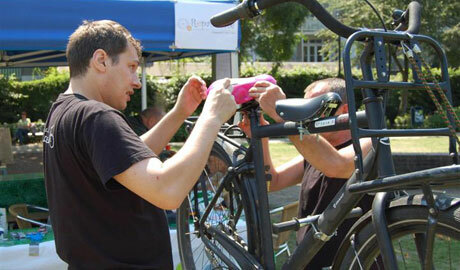 There will be electricians, seemstresses, carpenters, bike repairers, … who work together with you. That way, everybody learns something. 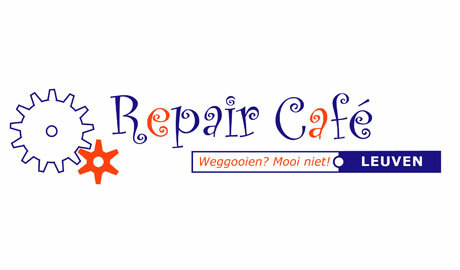 Even if you have nothing to repair, you can take a cup of coffee or tea and help with someone else’s repair. Above all, Repair Café wants to show that repairing is fun and often very simple. Come give it a try – the conversation is a nice extra.